It’s called an air gap. 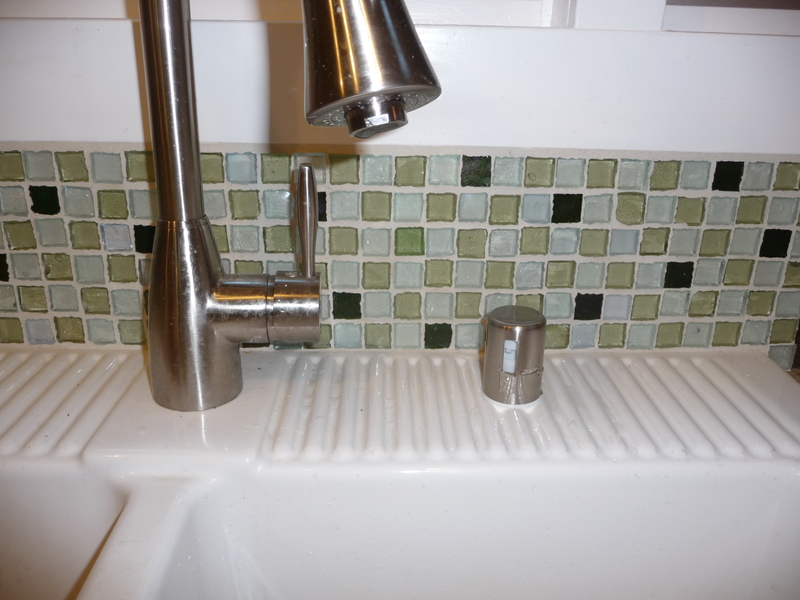 By California code, it’s required on a sink that’s connected to a dishwasher so that in case the dishwasher overflows, there’s an outlet for the water without flooding the house. Except that the sink we bought is from Ikea and while not identifiably European in styling, at least to my eyes, is European enough not to have a hole for an air gap. Except that there is no such thing as a stalemate with the county Permit and Resource Management Department: they just win. Fortunately, Vincent, our contractor, is fearless and has a lot of knowledgeable contacts. First he talked to a bunch of different people about the best way to drill a big hole in a solid porcelain sink without cracking the sink. Then he bought a special ceramic bit. Then he just – did it. He said it was a piece of cake. This was #6 and the only big challenge among the seven degrees of separation between us and a finaled permit. And thus, on a sunny afternoon in May 2011, we bid goodbye to the inspector. 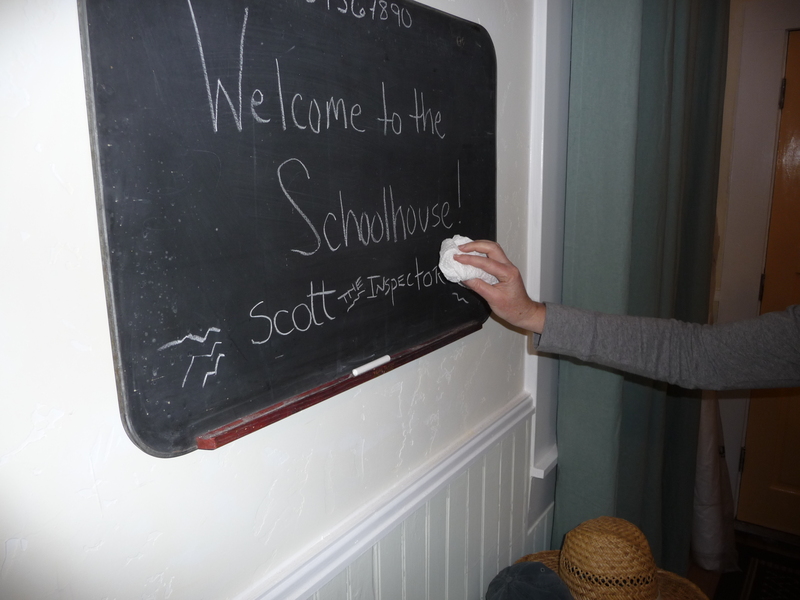 We write welcome messages to everyone who comes to visit on our vintage chalk board. I really enjoyed erasing the inspector’s name. Nothing personal. We had to file one last piece of paperwork but today we got the email, just one short line – YOUR PERMITS ARE FINALED. There are no sweeter words! Congrats. Who knew final was a verb?